What an interesting 12 months it has been. And a good opportunity to recount our little story, part two. Today sees the end of my incubation partnership with ThirtyThree as they release me back into the wild. And not a moment too soon as I’m hungry and ready to go. Having their support for the past 12 months has been invaluable. It has given me the opportunity to talk to a number of leading talent acquisition professionals on what they are looking for from an agency and shape our offering around their actual needs. Having a clear focus on what we want to do has meant that we are able to more successfully articulate our offering as a business. We offer tactical support to talent acquisition, resourcing and recruitment professionals. While we’re always looking to build long, beautiful and highly effective relationships with our clients, we’re also equally happy delivering a single one-off project. What’s more we’re not too precious about where in the creative process we come in. If you’ve already defined your EVP then our creative team can use that to deliver a meaningful recruitment identity. 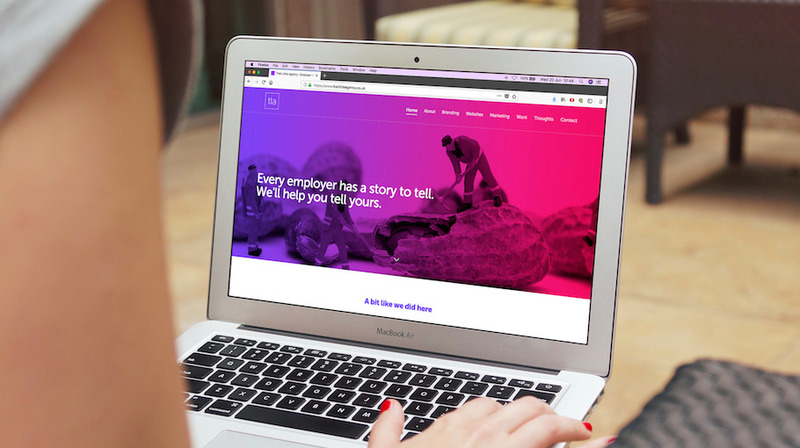 If you already have an employer brand, we’re happy to work with that as we develop your careers website and recruitment marketing. But then again, if you’d like us to do the whole lot – then we’d probably love you forever. Of course our guiding principles haven’t changed. We still offer insight-led solutions, creative thinking and digital expertise. And remain a great bunch of people to work with. So that’s it. Our little story, part two. And as we start the next chapter, we’ve moved into a new home. A converted bank, complete with a safe for a meeting room and a place for Ted. Of course. So let’s see where the next 12 months take us.